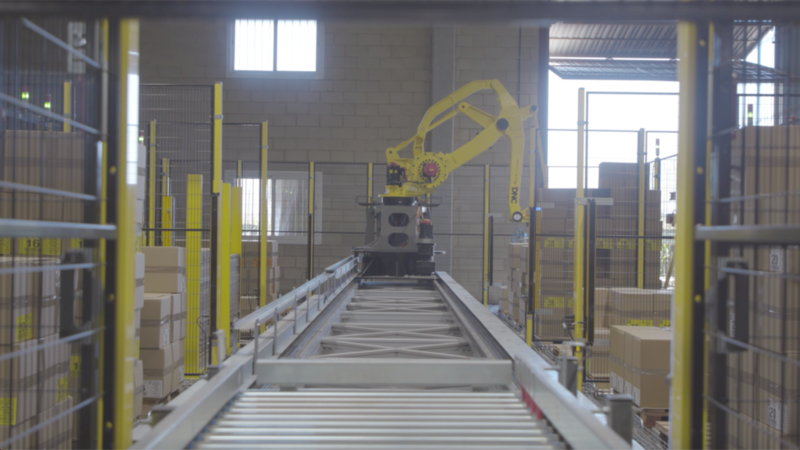 In a production center with people with intellectual disabilities dedicated to the injection of alveoli for fruit, a palletizing cell is installed to prevent workers from having to manually load boxes. 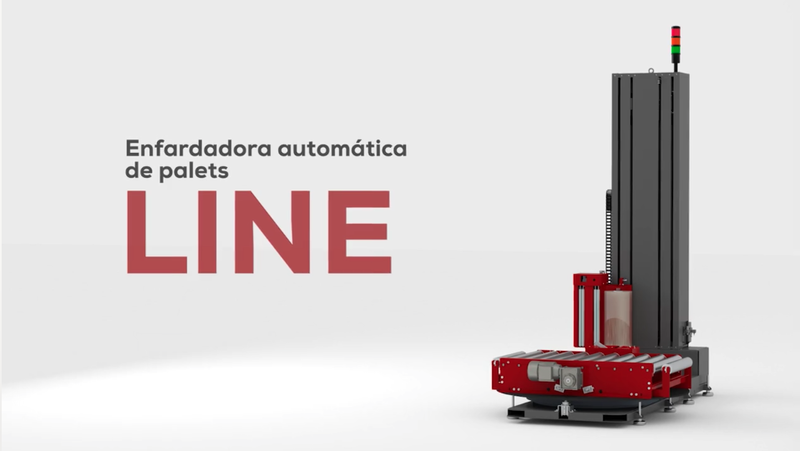 Installation works with 18 palletizing stations that can work with their 18 different products at same time. 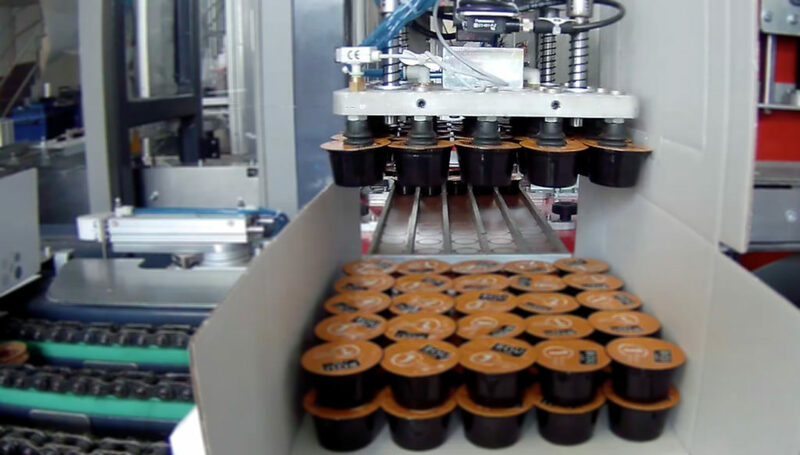 System allows, selecting by screen, where to palletize each product an discrimination is done automatically with a label reader. 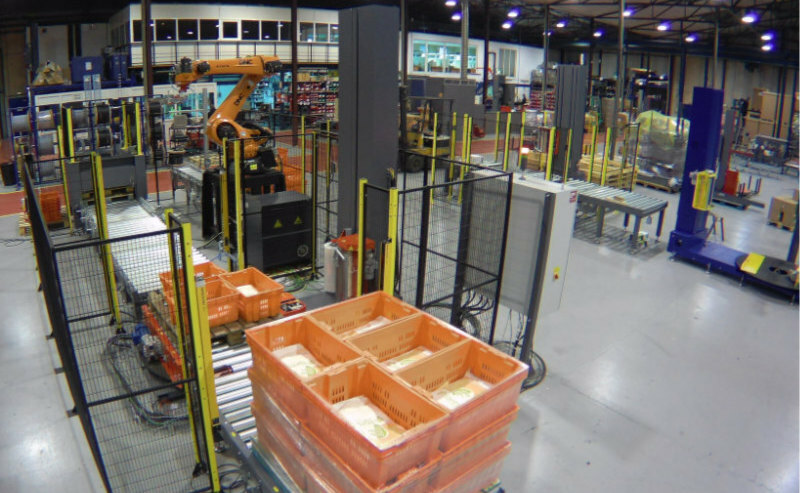 A security area system has been implemented in order to allow collection of pallets without stopping production and without any risk for users.